Jethro Tull and Ian Anderson music, likeness, promotional materials, owned and copyrighted by Ian Anderson Group of Companies, LTD. All rights reserved. 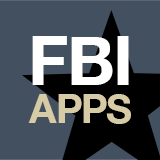 FBI has gained endorsement in the spring of 2014, and produced a Tull Tribute app. Today, the Jethro Tull app has come full circle to a “universal” app (build for both the Windows Phone 8.1 and Windows Store 8.1 & 10 – the tablet or desktop environments). The app coincides with the Ian Anderson, new “Homo Erraticus and Best of Jethro Tull” United States tour. Ian Anderson of Jethro Tull fame hits the road starting in Seattle, WA - September 12, 2014. Along with the new app, Ian brings new music out for a spin as well as all the Tull classics, too. Download this incredible app at: http://bit.ly/1Avx81S from the Microsoft Windows Store and at http://bit.ly/1rC22Rt from the Windows Phone Store. See the Jethro Tull app promo video here: http://bit.ly/1p8u0CR - Like us on Facebook. Read press release. Jethro Tull / Ian Anderson unofficial app. Match game for all 50+ album/CD covers. Try your skill, soon to be released in the Windows Store and other markets. Jethro Tull and Ian Anderson music, likeness, promotional materials, owned and copyrighted by Ian Anderson Group of Companies, LTD. The Fustino Brother, Inc. 1st app. The Tull Tribute app is an unofficial collection of online resources fine-tuned to the English rock band “Jethro Tull”. Find the latest information, videos, photos, albums, concert dates, links, and current social media conversations. Enjoy. The Tull Tribute app, a Windows Phone Marketplace application is no longer available. See above - replaced with "Jethro Tull". App Description: This Tull Tribute app is an unofficial collection of online resources targeting the rock group “Jethro Tull” and “Ian Anderson” from England. With the Tull Tribute app’s designed system architecture we search Bing, YouTube, Flickr and other resources for you, and place the independent results in one convenient database application. Some content may be mature, and discretion is advised. Beading Workshops - Tampa Bay is a Windows Phone Marketplace application. Go to, click/tap on this link and buy it now (it's free). 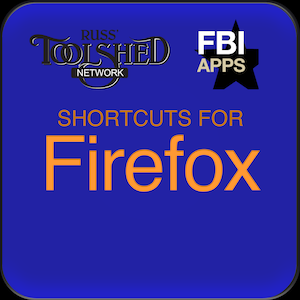 See All Shortcut Apps by Russ' Toolshed. Click/Tap on the Above Graphic. There are over 200 keyboard, mouse and touch shortcuts for Windows 8-10! how many do you know? 10, 20, maybe 50? Imagine knowing them all! Keyboard, Mouse and Touch shortcuts are included in this app. You can easily increase your productivity by 10 to 20 percent using LEARN MODE which will help you memorize those shortcut keys. It is a known fact, that the more key bindings you know, the more productive your experience is. Also, LEARN MODE remembers where you left off. Say you are on a commuter train or exercising on a treadmill and you have just a few minutes… just do a few questions and pick up next time where you left off. The recycle new exam app button will generate a new order of the questions and new combinations of possible answers anytime you want. Incorrect answers show the descriptions. But wait, there’s more… LOOK UP WINDOW 8 KEY BINDINGS, MOUSE AND TOUCH SHORTCUTS WITH ONE TOUCH! Win 8 Shortcuts is a Windows Phone Marketplace application. Go to, click/tap on this link and buy it now (it's free).